King Kong Has Made A BIG Return As An Epic Broadway Musical! We were invited to view this show as media. All opinions and full review are our own. No other compensation was provided. For the past year and a half, I've been taking my daughter to Broadway shows. Anytime we get an invite, we jump at the chance to experience an epic adventure through great performances, amazing visuals, and delightful singing! 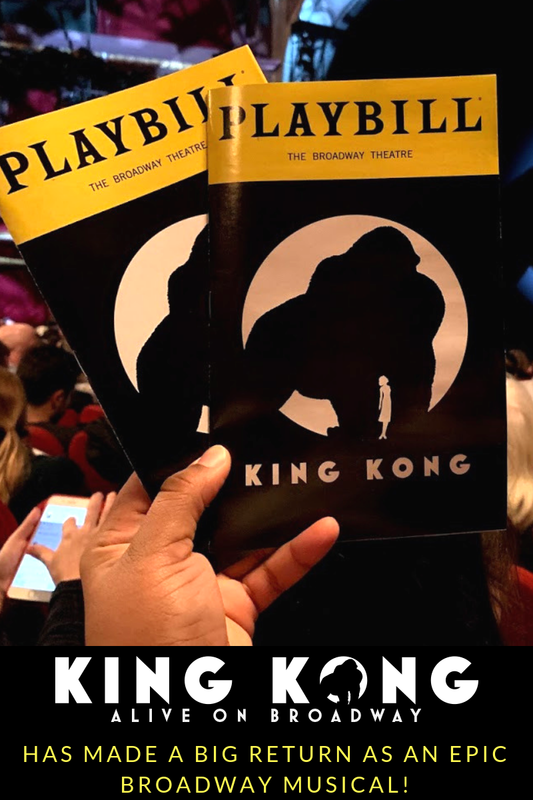 A few weeks back, Gabby and I were invited to check out King Kong: ALIVE ON BROADWAY and I must say... we'll never see an ape the same way again! 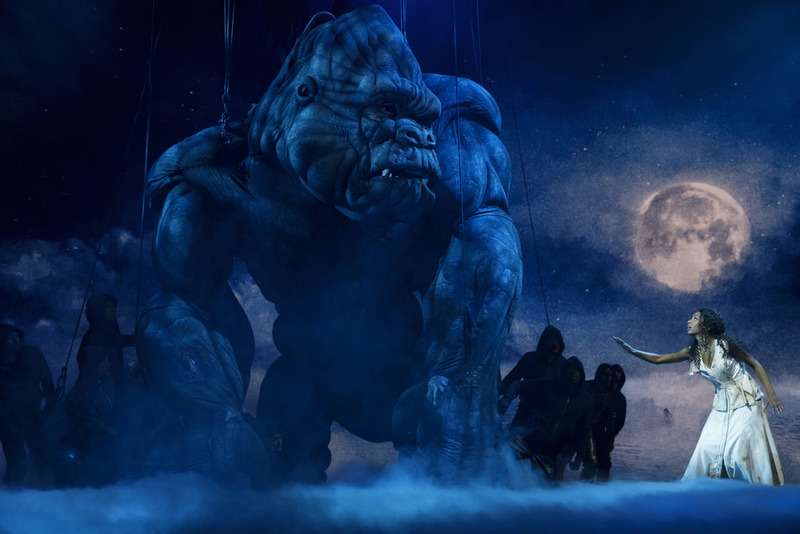 Here's a bit about the King Kong show: The epic modern myth comes alive on Broadway through an innovative mix of animatronics, puppetry, music, and stagecraft! 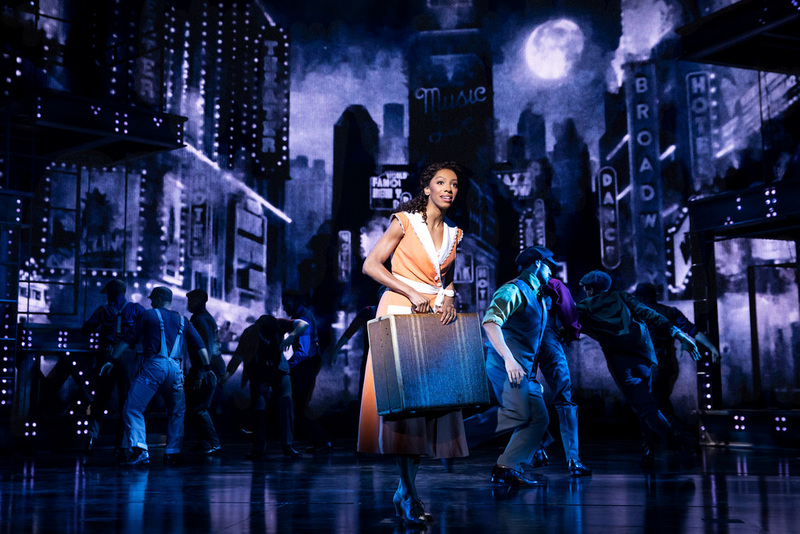 It’s 1931, the world is in the grip of the Great Depression, and New York City is a place of pressure, of desperation, but also of hope. Enter Ann Darrow, a fearless young actress with a will of steel and dreams that reach as high as the just-completed Empire State Building. After a brutal struggle just to stay on her feet, Ann finds her big break in the form of Carl Denham, a fast-talking filmmaker who promises to make her the star of his next big adventure movie. Throwing caution to the winds, she joins Carl on a voyage to the mysterious Skull Island. There, they encounter a wonder more astonishing than they could have possibly imagined: a 20-foot-tall, 2,000-pound ape known only as Kong. To her surprise, Ann finds an unexpected kindred spirit in this magnificent, untameable creature. But when Carl hatches a plan to capture Kong and display him to the New York masses, she’s faced with a terrible choice. Will Ann follow the call of her own ambition? Or can she find the strength to stand up for what’s right? Crazy right? I saw wonder in my daughter's eyes as she saw this gigantic creature appear out of nowhere. She was so excited and had so many questions! I thought it would be too frightening for a 6-year-old but if you have a child who's not afraid of anything and loves loud noises, then King Kong will be the most exciting action they'll see for a while! Animation of King Kong In Action after the show! After the show, we were invited to participate in a talkback with a few of the actors and actresses from the show. Many of the guests had wonderful questions. Mine happened to be "How many Kings company work on King Kong at any given time?" The answer is 13! Yes, it takes 13 people to control the 20-foot-tall ape. It also takes 5 more people to control and animate the face. My only reaction to that response was WOW! Overall, King Kong was so amazing and unexpected. I didn't think there was any way to show this giant creature performing as many movements on stage as it did. My daughter actually wants to go again and to be honest, I do too. Will you be seeing King Kong ALIVE on Broadway?